Email Newsletters are sent to a specific target audience, determined by you, on a regular basis. They contain several articles regarding topics of interest to the recipients. The purpose is to engage readers, build relationships, and maintain top-of-mind awareness with a particular group. Blogs are maintained on your website and available for everyone to see. Each blog post covers one topic you believe will be helpful in some way to site visitors. Blogs can educate customers and prospects, keep your website dynamic, and help improve search engine rankings. So, Which Strategy Works Best? 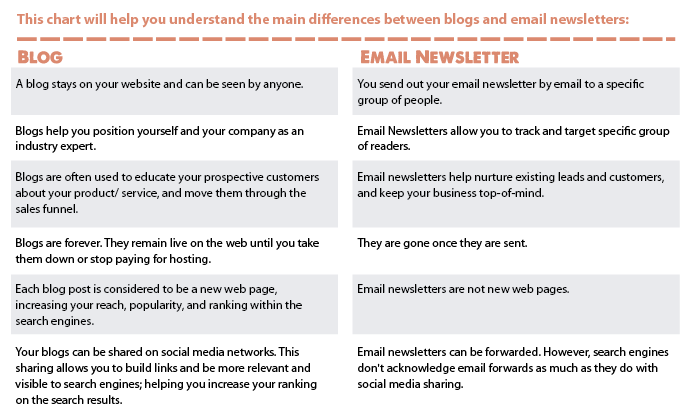 Both email newsletters and blogs allow you to communicate effectively with prospects, leads, and customers in different ways. Therefore, we highly recommend that you combine both into a powerful communication strategy. 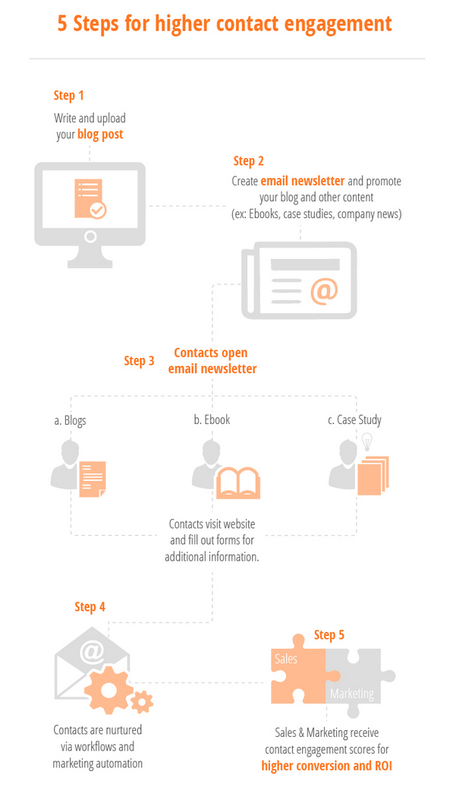 In this infographic we show, not only how vital your blogs and email newsletters are, but how they are part of much bigger ecosystem to attract traffic to your website, convert these traffic into leads, and ultimately, nurture these leads into customers and brand evangelists.